Despite the late winter episode this year, the calendar spring has officially settled in and the first small buds already opened up, bringing with them the sight of nature’s renewal. For a richer experience, why not head to some of the flower destinations Romania has to offer? Meadows of sweet smells and beautiful sights await those who venture outside the city limits. Some suggestions below. 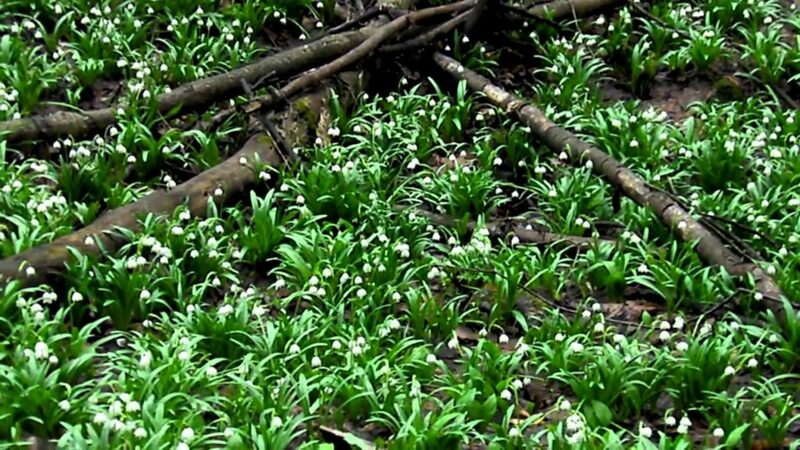 The Vârtoapelor Plateau, in Hunedoara county, is where 10 hectares of snowdrops can be admired each spring, from mid-March until the beginning of April. The snowdrops are called by locals “rich” ones. Their Latin name is Leucojum vernum and they look a bit like the lily of the valley as the while flowers have greenish marks near the tip of each tepal. A visit to the plateau starts from the Orăştioara de Sus commune, where several Dacian and Roman landmarks can also be visited. Nearby is Sarmizegetusa Regia, the capital of the Dacians prior to the wars with the Roman Empire, located only 13 km away. 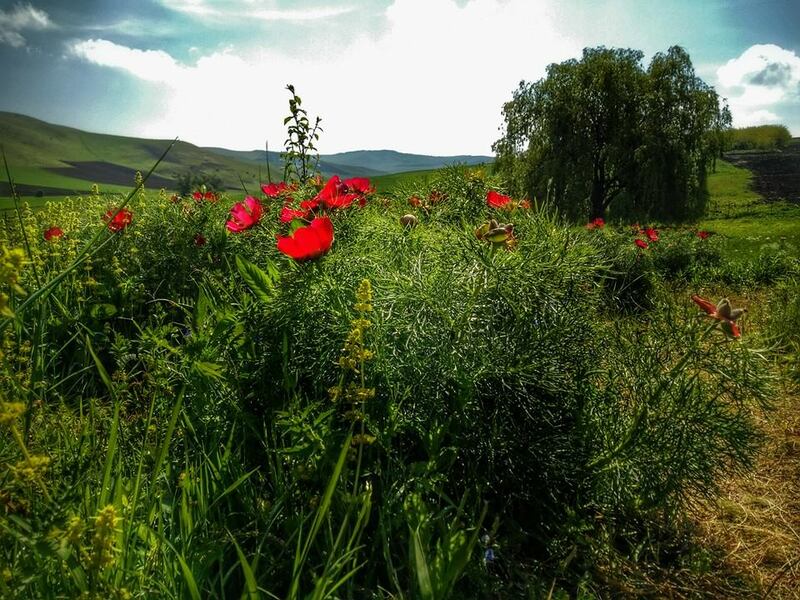 The Zau de Câmpie commune, in north-central Romania’s Mureș county, is home to the only fernleaf peony reservation in the country. Here, the peonies grow at altitudes of over 450 meters, throughout an area of 3.5 hectares. The flowers can be seen in bloom beginning May. The fernleaf peony was first signaled in the area in 1846, when the flower was included in a Vienna presentation of the Transylvania flora. The reservation itself was established in 1932, by academician Alexandru Borza, who is also considered the founder of the Romanian school of botanic. Several restaurants and accommodation options await tourists going to the area, where the Calendar Castle is also located. The site can be reached following the county road DJ151, on the route Luduș - Roșiori - Tăureni - Zau de Câmpie. Closer to Bucharest, the forests of Comana also see peonies bloom in May. Since there are only 38 kilometers between Comana and Bucharest, this can make for a perfect one-day trip. In southern Romania, in Teleorman county, the Pădurea Troianu Nature Park is home to a reservation of local peonies (Paeonia romanica peregrina), a species that has survived since the glacial era. The 71 hectares area became a reservation in 2004. In order for the flowers to thrive, the planting of acacia trees was forbidden, and the access ways to the forest were reduced, among others. The peony can be seen in bloom there in the month of May. From Roșiorii de Vede, the Troianul village can be reached following the national road DN65E. There are more than 20 daffodil meadows in Romania, and one of the best known is in Dumbrava Vadului Nature Reserve. 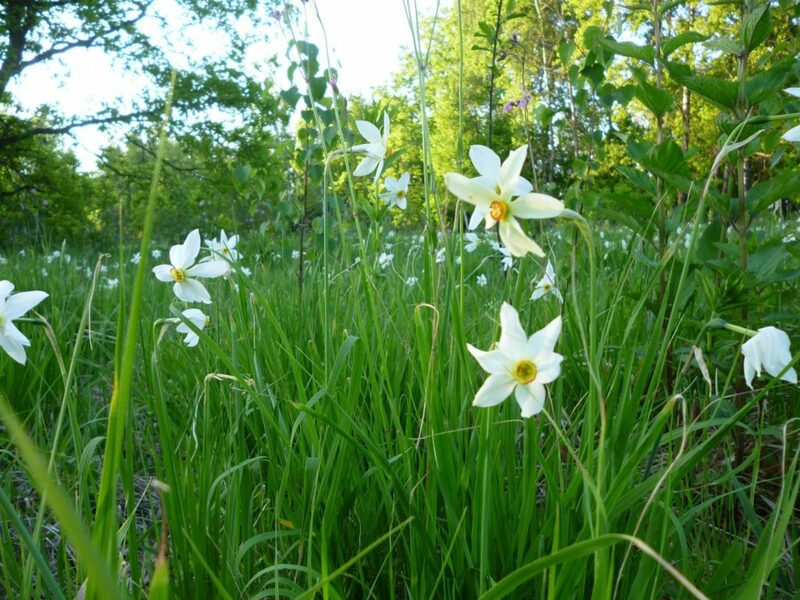 It spreads on 400 hectares, where thousands of daffodils bloom in the month of May. Besides daffodils, various other flowers, such as the marigold, the globeflower or the field meadow foxtail grow in this protected area. Every year in May, a Festival of Daffodils takes place, the same date that Saints Constantin and Helen are celebrated. Besides the display of traditional clothing and traditions, visitors at the festival can also taste products from the Făgăraş area. The Daffodils Meadow in in Dumbrava Vadului can be reached following the national road DN1 on the Braşov-Codlea-Perşani-Şercaia route and then the national road DN73A from Şercaia to Vad. The communal road DC 107 C links the village of Vad to the meadow. 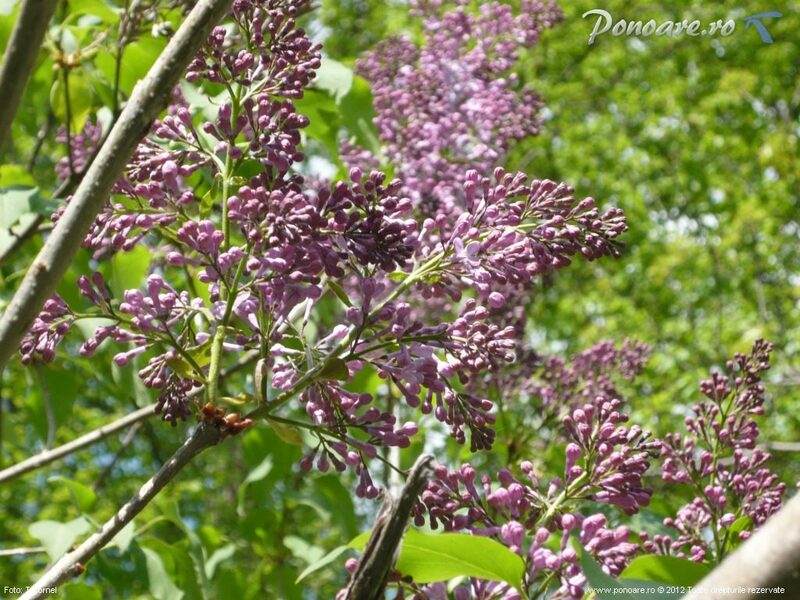 The Lilac Forest in Ponoare, in western Romania’s Mehedinți county, is a protected area spreading on 20 hectares. The mild climate, with sub-Mediterranean influences, allowed the reservation to thrive. The best time to visit is, again, at the beginning of May, when the flowers are in bloom. And it is not the only tourist draw of the area, the 60 meter long calcareous arcade known as God’s Bridge and various karst formations can be found nearby. The forest sits some 3 km south of Ponoare, which in its turn is 6 km south east of Baia de Aramă, following the county road DJ670. From Drobeta Turnu Severin, Baia de Aramă can be reached via the national road DN67 and the county road DJ671.